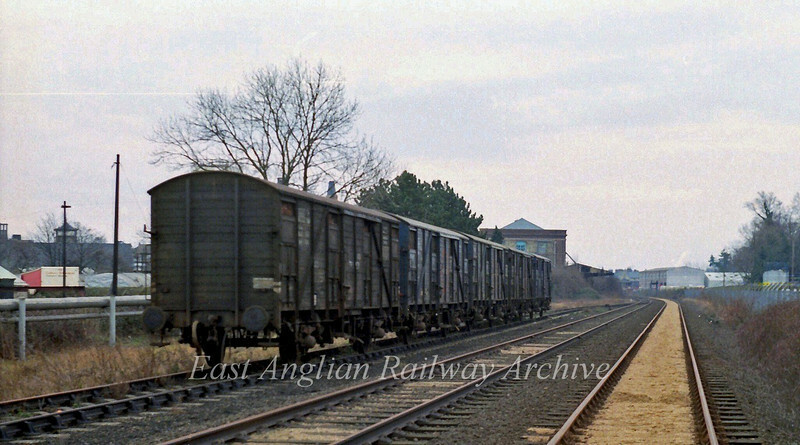 A rare shot of five transfesa ferry vans, I think standing on the old up goods loop at Histon on 9th February 1980. The vans contain Seville oranges from Spain used in the production of marmalade at the nearby Chivers Factory. The deliveries were seasonal and ceased in 1983. The view is facing Histon Station. The signal box can just about be made out in the far distance. It looks like a recent delivery as the vans appear to be still loaded.